physiological change. It has been used in animals and humans for over 3000 years and is a means of helping the body heal itself. It is one of a variety of therapies that a veterinarian may use to treat your animal. Before considering acupuncture therapy, patients should have a comprehensive examination and diagnostic work-up by their regular veterinarian. This depends on the condition being treated and which points are utilized. In general, acupuncture increases circulation and stimulates nerves causing a release of many neurotransmitters and hormones, some of which are endorphins (one of the body's pain control chemicals) and natural steroids. It also relieves muscle spasms as well as stimulates the body's defense systems. Although many of acupuncture's physiological effects have been studied, many more are still unknown and research is being conducted to determine the scientific basis of those effects. Acupuncture is performed with very thin, sterile needles. 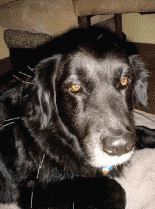 Most animals relax and tolerate acupuncture very well often falling asleep during treatments. Patients usually start with 1-2 treatments per week for 4-6 weeks. A positive response is often noticed within the first 3-6 treatments and sometimes sooner. Once a maximum response is achieved, treatments are tapered off and pets may only need to be seen occasionally, if at all. Acupuncture is one of the safest therapies utilized in medicine if practiced by a properly trained and certified veterinarian. Side effects are rare. An animal's condition may worsen for up to 48 hours after a treatment. Other animals may become sleepy or lethargic for 24-48 hours. These circumstances are usually followed by an improvement in the condition and are an indication that the treatment is working. Acupuncture has been recognized as a beneficial treatment modality by world renowned medical associations including the American Medical Association, the American Veterinary Medical Association, and the National Institutes of Health. What Conditions Respond to Acupuncture?